Let’s help families stay warm this winter! 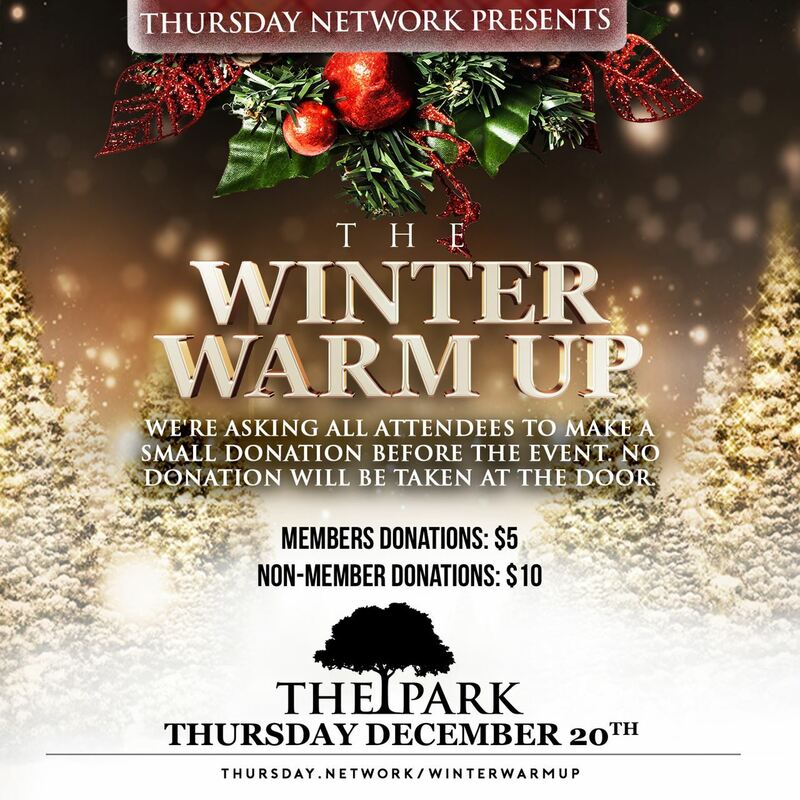 Join Thursday Network as we enjoy an evening of socializing for a good caused during Thursday Network’s Winter Warm Up 6:30-10:30 PM on December 20th at The Park At Fourteenth. We will be raising money to provide utility assistance to families in need throughout the Greater Washington area. All proceeds during The Winter Warm Up will benefit the Greater Washington Urban League’s Utility Assistance Program . All ticket payments must be made online. Cash will not be accepted at the door.